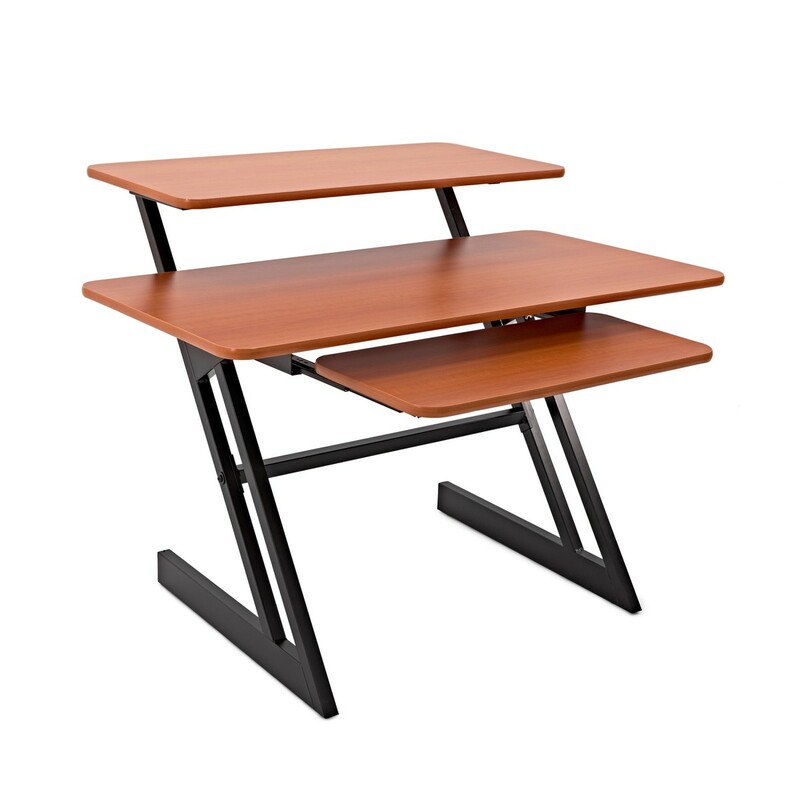 The 3 Tier Home Studio Desk by Gear4music provides a flexible space for computer setups and audio equipment. With 3 different shelves, this workstation provides a simple and compact solution for having all your equipment in one place. The solid steel frame and laminate wood shelves provide a reliable and hard wearing work surface ideal for small or home studios. 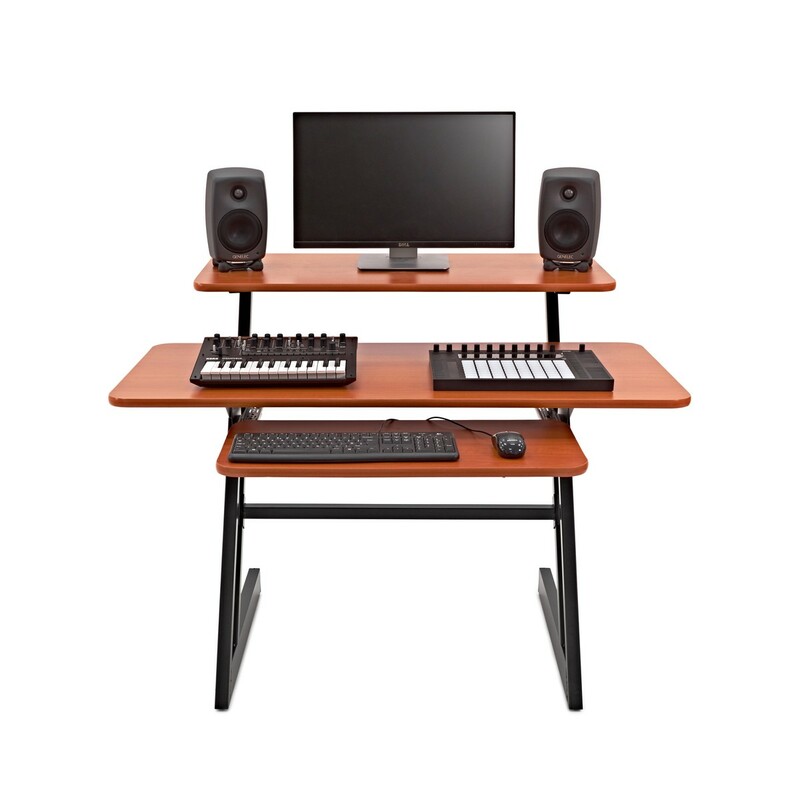 The 3 Tier Home Studio Desk by Gear4music is the ideal workspace solution for studios and home set ups. 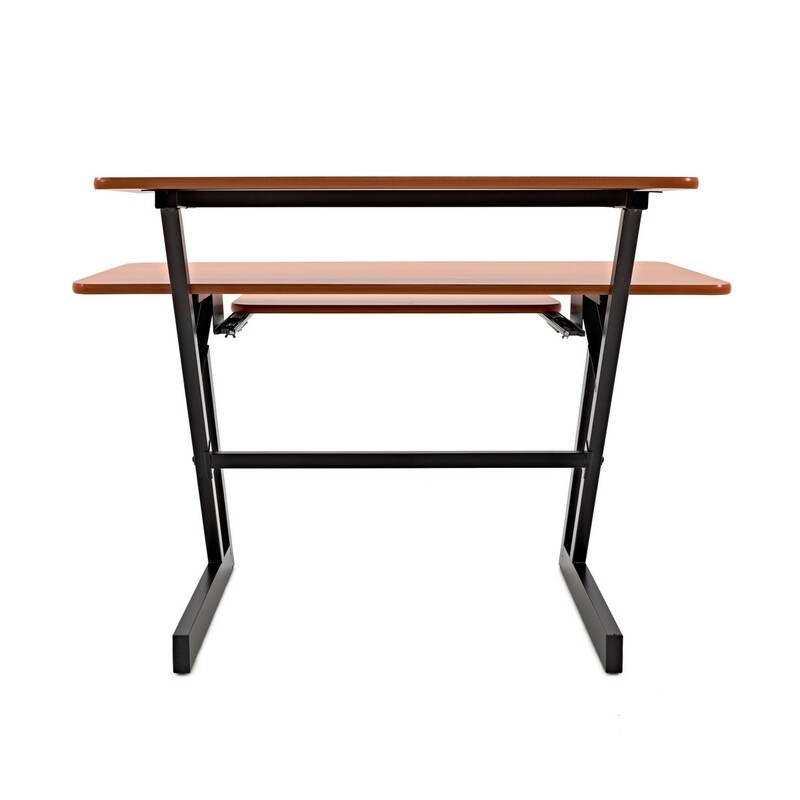 This workstation has a total of three surfaces including a pull out shelf, top monitor shelf and main worksurface. 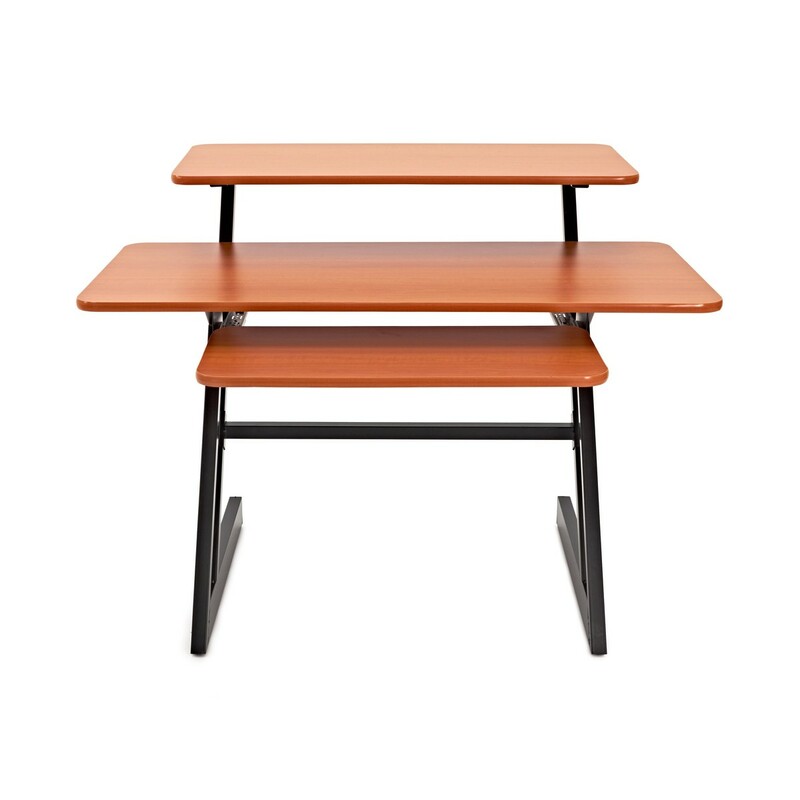 The studio work station combines 2cm thick laminate wood shelves with a heavy duty steel frame for a reliable work space that can withstand heavy use. Designed to work with any combination of setups and audio equipment, this studio desk is perfect for both home and professional use. 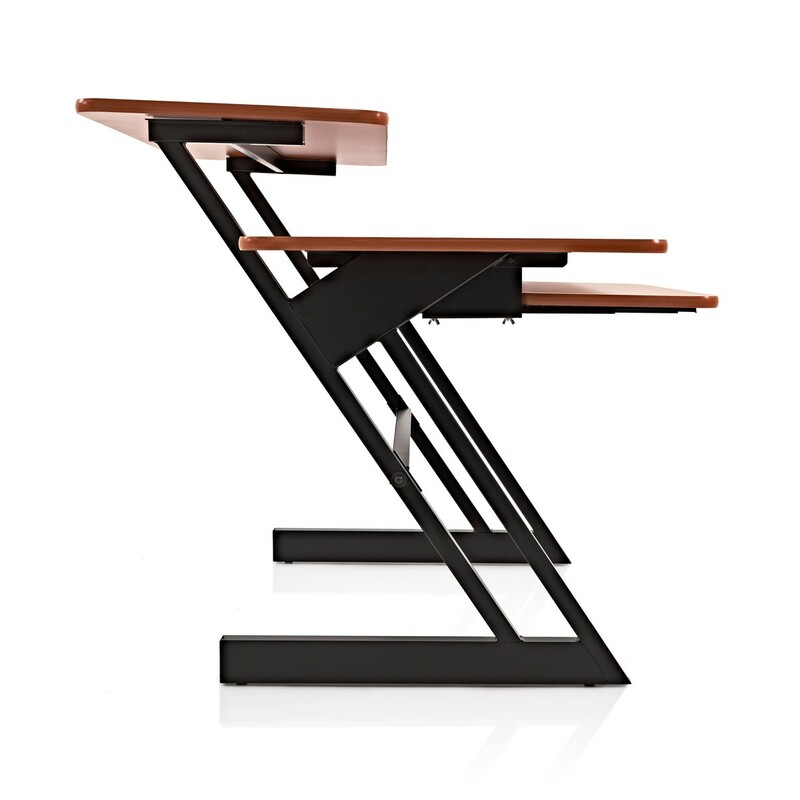 - Sleek, Z-frame construction which will blend into any home or studio situation. - A wide range of add-ons and extra units available, allowing you to expand the workstation with your requirements. - Rugged construction using a heavy-duty welded steel frame and a tough 2cm laminate for the worktops.